How can you save costs on Software and IT outsourcing? Our free webinar will help to answer this question. You will learn 4 proven strategies in IT Outsourcing (including their advantages and disadvantages). Also you will be able to choose the best model based on your requirements. This webinar is an essence of our 15+ years of experience in Software and IT Outsourcing. How can you save costs on IT and Software outsourcing? Our free webinar will help to answer this question. You will learn 4 proven strategies in IT Outsourcing (including their advantages and disadvantages). Also you will be able to choose the best model based on your requirements. Learn advantages and disadvantages of these models in terms of cost saving, quality, flexibility, time saving, hidden overhead, etc. This webinar is designed for companies and startups which are thinking about starting IT Outsourcing AND companies that already do IT Outsourcing but would like to learn how they can optimize and improve it. 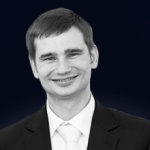 Andriy Kushnarov: IT Outsourcing Expert, CEO & Founder of “SITO: Software & IT Outsourcing” (Hamburg, Germany) an IT Consulting company with the main focus on Outsourcing. Andriy has 15+ years in IT Outsourcing. During his career worked on different positions and owned an outsourcing company. Andriy knows very good how IT Outsourcing works.